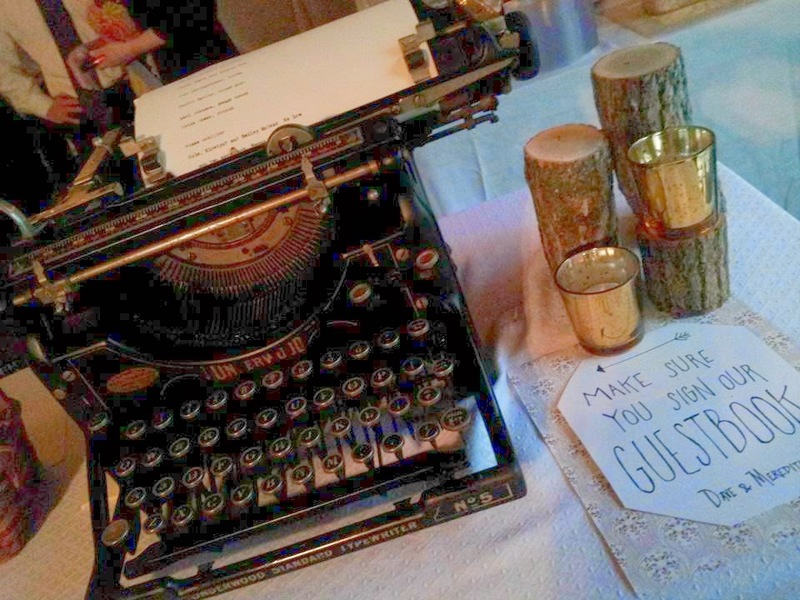 I was honored to be able to attend a beautiful barn wedding this past weekend. I got to capture a couple of pictures with my phone, and although they aren't the highest quality I still wanted to share them with you! 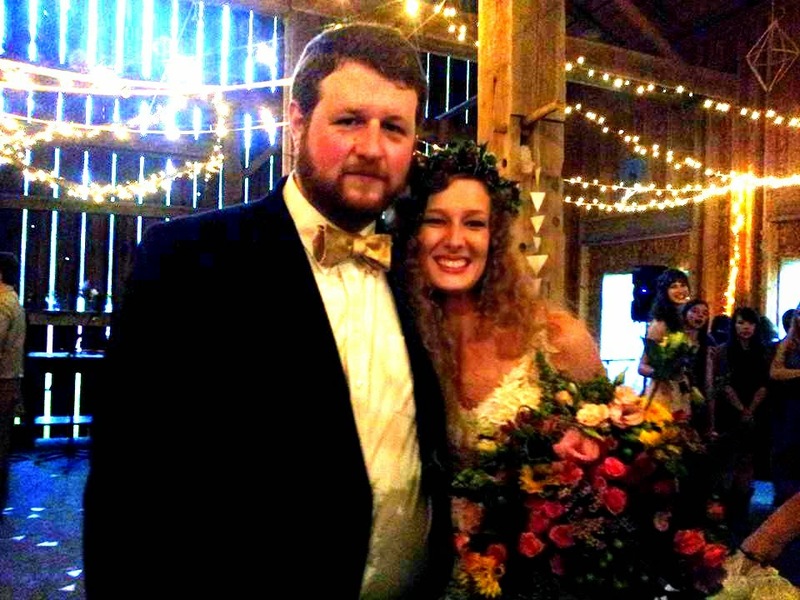 As you can see the inside of the barn was simply and elegantly decorated with white sparkling lights and during the entire ceremony a loud thunderstorm rolled on by, but the happy couple did not seem to mind at all--this was their special day and they were too in love to notice! I know you can't see the brides dress very clearly but from what I understand they used some material from both the groom's and the brides mother's wedding dresses to make hers. 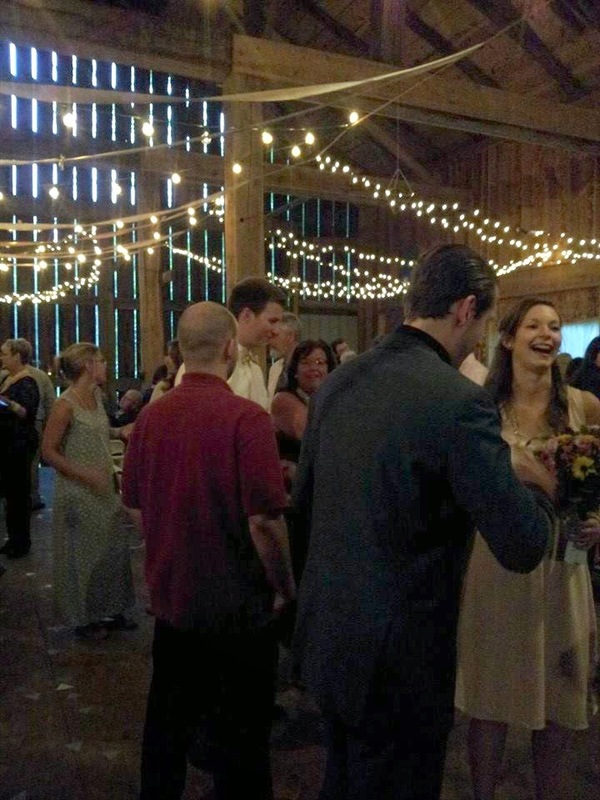 In one corner of the barn they had it set up with pictures of the bride and groom for all to see. 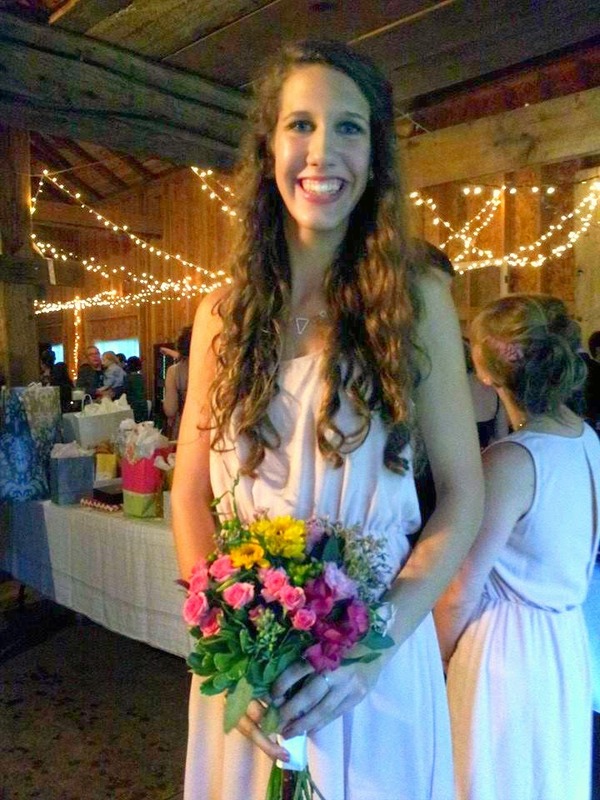 This is Mackenzie, a sweet gal who attends our church and sister to the bride--she makes a great bridesmaid! 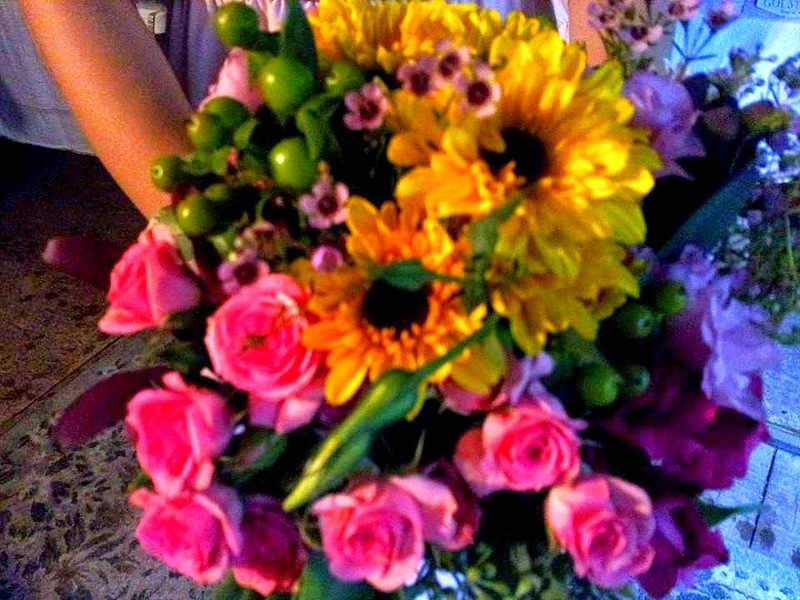 A quick glimpse of her bouquet! for friends and family to sign in! 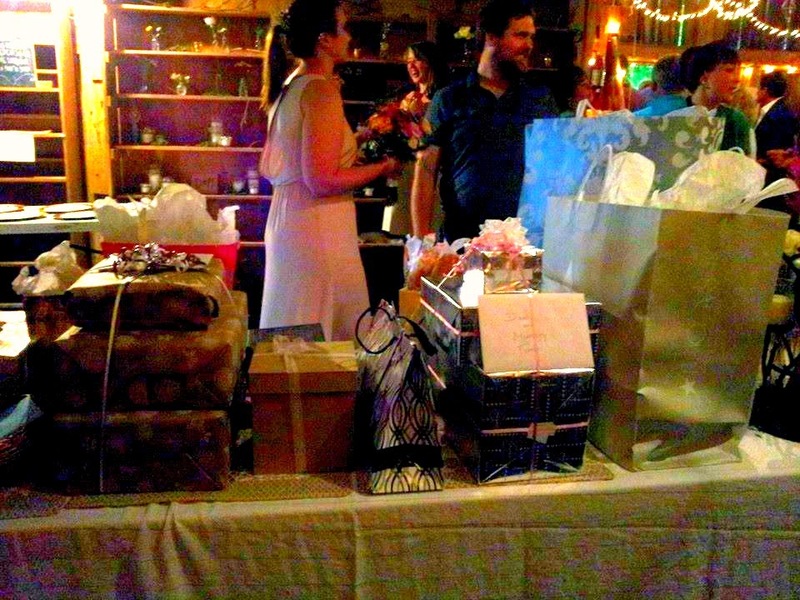 A quick shot of the wedding gift table for you and they even had a pie table where guests contributed their homemades pies for the special occasion. 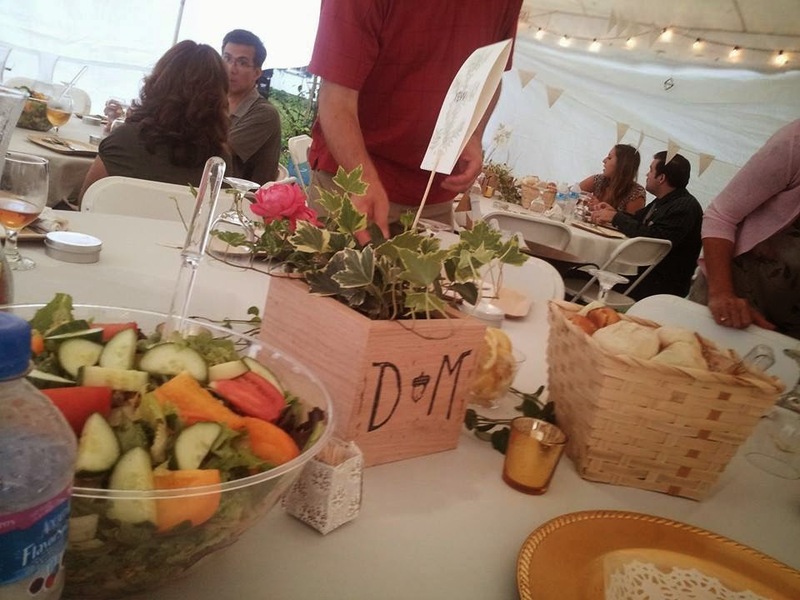 The dinner tables were outside on the lawn under a big tent and had little flowers and boxes as centerpieces with the brides and grooms initials on them. I should have turned the little sign around because on the sign it had the names of different kinds of trees so you could see them. The reason they had that was because you see these little flags above? That is how you would find out what table you were sitting at. 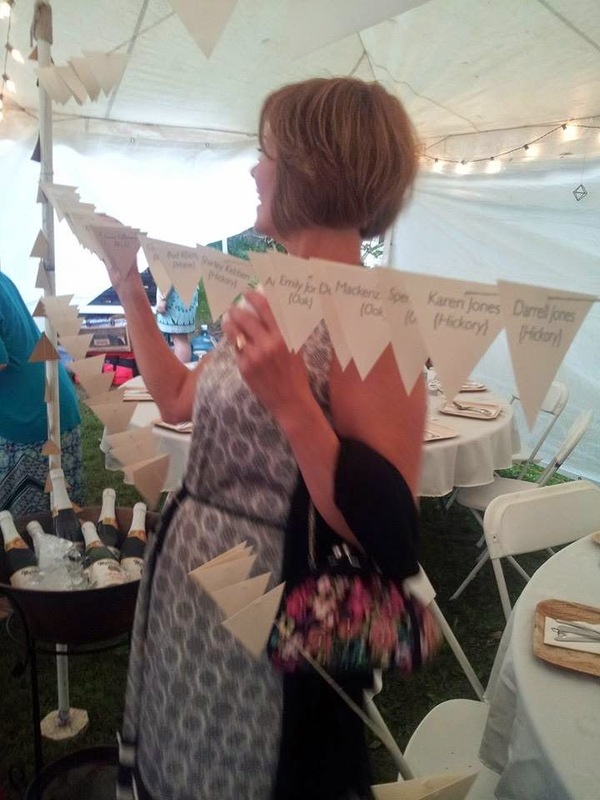 You had to find the flag that had you name on it, like the lady above is doing, and match it to the table. 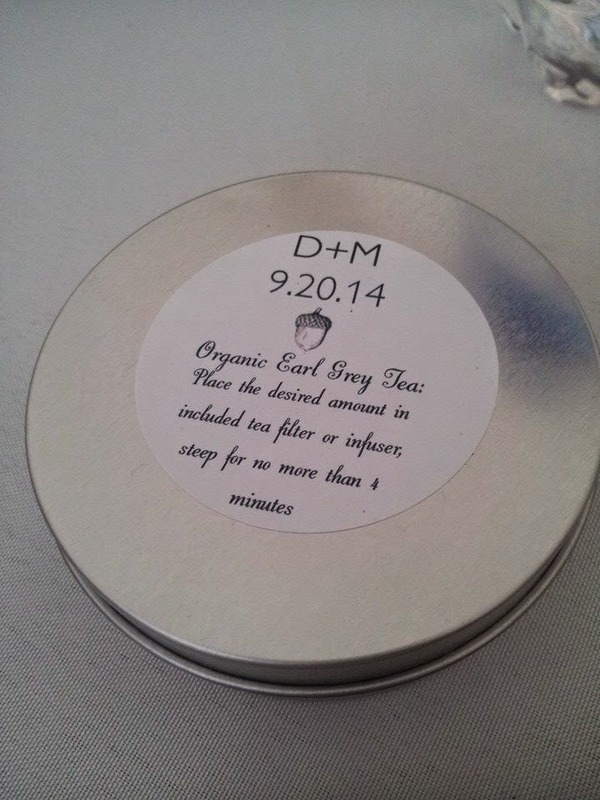 The party favors were nice too--these were little cans of organic tea with a small bag inside to put them in hot water. I got the Organic Earl Grey Tea and can't wait to try it. Later that evening they had a speech and dancing but we missed this because we had to leave early. All in all, it was a lovely day and we wish the newlyweds many wonderful blessings as they start their new life together! Hi June, my son would like to know what brand of Earl Grey tea is in the tin. He loves Earl Grey tea! That is so neat! 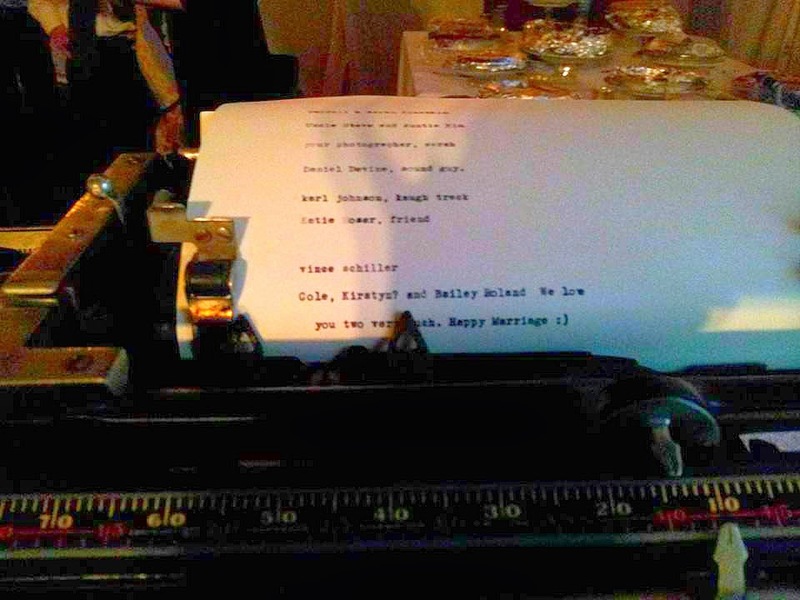 The typewriter idea is fantastic!